The Door Threshold (where the bottom of the door meets the finished floor/cill) must ensure that it is able to resist wind-driven rain. 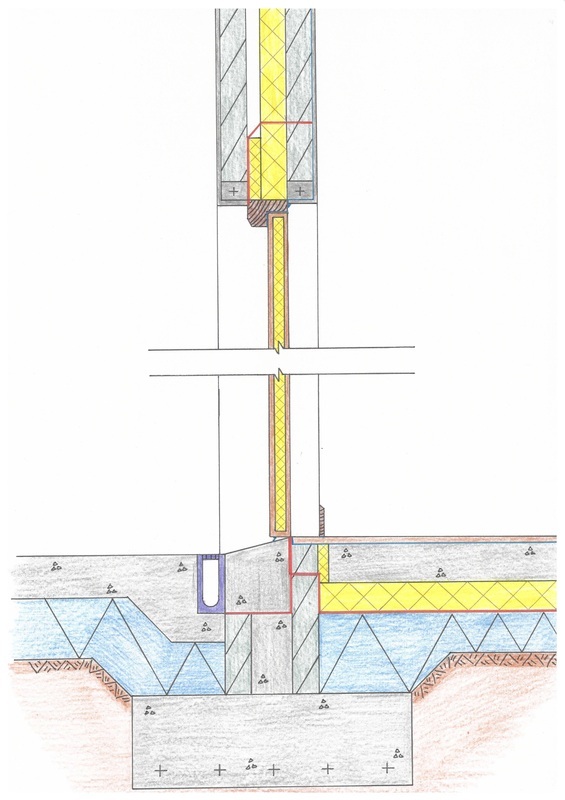 However, it is also vital that the threshold does not exceed 15mm in height, to accommodate wheelchair access and also preventing a tripping hazard. The detail must also ensure that no water lodges in front of the door, and so a sloped cill (max 15 degrees) runs into the drainage channel, which disposes of any excess water. The head of the door frame is rebated and incorporates an airtightness seal. Similar to the head of a window, reinforced concrete lintels are used to ensure that the above weight is transferred to the walls around the door. 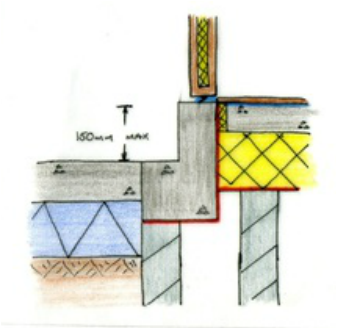 The cavity is also sealed with extra insulation, while the DPC is stepped as shown to ensure no moisture penetration. There is also a stepped alternative for the threshold detail. The step in front of the door must not exceed 150mm, while the need for a drainage channel is eliminated. 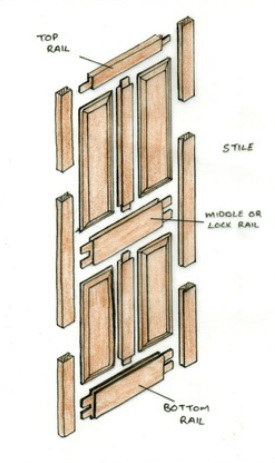 Timber Panelled Doors are often used as external doors. They are constructed in hardwood, using mortice and tenon joints for strength and durability. This video shows the most effective approach for drafting the door threshold detail.